Appliances are part and parcel to our lives. Life would lose it’s fun if appliances such our LG dryers that we depend on breakdown. Appliances are prone to breakdown; this is due to the fact that they require certain optimum conditions for them to work. Service Masters Appliance is here to give all the LG Washer owners exemplary services in repair that would not only ensure that the appliances are restored to good working condition but also at a dramatically reduced cost. There is a surge of people that use LG electrical appliances in homes. Service Masters Appliance staff have vast knowledge and expertise in the LG Washer Repair and are dedicated to the brand not only in installation but more importantly repair and troubleshooting. At service masters appliance we are committed to the client satisfaction. This is depicted by the way we arrange our services around your schedule, however, busy it may be. Once the customer calls us and order work our service, our staff would respond promptly and start by troubleshooting the Washer. It would be important for the client to note that they would not be charged for the overtime that is spent repairing their appliance. Many customers could also be wondering how we are able to ascertain the price, after troubleshooting your appliance, we would let you know the price of the service according to the repair needs. After troubleshooting, the client would be told about the price before our staff starts working on your appliance. Sometimes it may not only require the appliances to be moved but also other staff around to create space and make work easy. Once the experts are done, the house can be in a mess, one needs not to worry about that since our experts are highly trained and would not leave you with the mess but ensure that everything is set as they found before they leave. Once we are done with repair, we guarantee that the parts and the work that is done would last for a considerably long time. Service Masters Appliance is made of staff and experts that are specialized repair of LG washers. The services are designed to meet all your needs in repair and prices which are highly subsidized. All one would need to do is call our office and a team of experts would be set aside to come to your home to repair of your appliance. Some of the clients who are outside San Gabriel Valley could be wondering how they would access our services, this is to let you know that we also offer the washer repair services in Altadena, Alhambra, Arcadia, La Canada Flintridge, Pasadena, South Pasadena and San Marino. 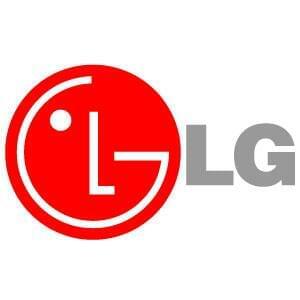 It would be important to call our office for more information on LG washer repair services.